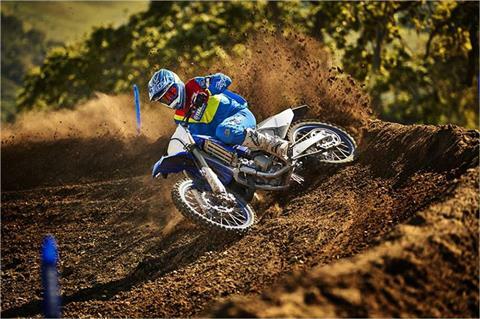 Light weight, but heavy on the fun factor. 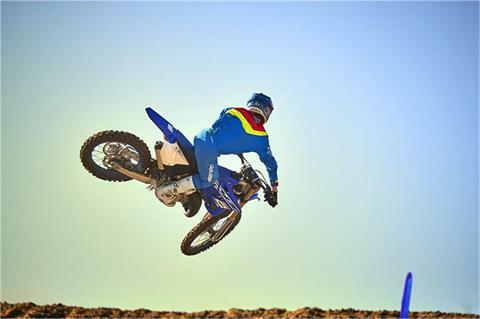 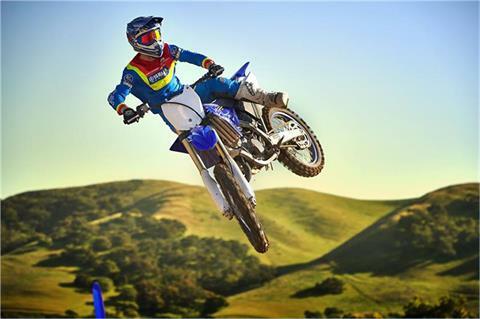 The 125cc liquid-cooled 2-stroke is the most fun you can have on two wheels. 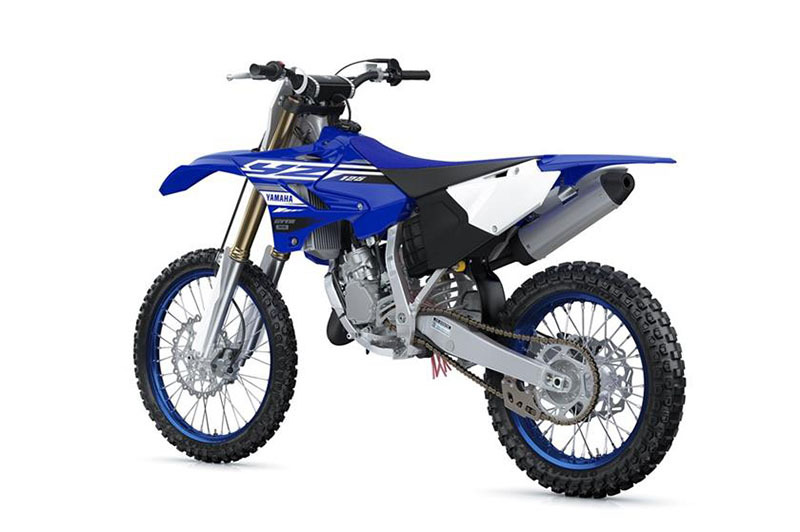 270 MM FRONT BRAKE: Large 270 mm front disc brake coupled with high-performance pad material offers outstanding machine control and performance, with exceptional stopping power and controllability. ALUMINUM FRAME: A carefully engineered, advanced aluminum frame and swingarm give the YZ125 the best handling in its class. LIGHTWEIGHT SUBFRAME: Removable aluminum rear subframe is constructed of square-section tubing for reduced weight. INDUSTRY-LEADING FORK: Speed-Sensitive System 48 mm KYB® fork; damping force is controlled by piston speed which provides a smoother, more precise ride with 11.8 inches of travel. 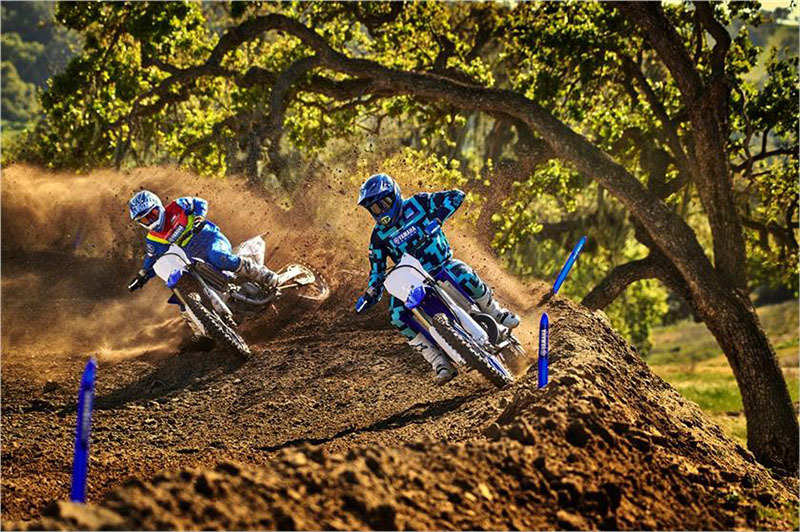 ADVANCED KYB® SHOCK: Rear, fully adjustable KYB® shock features reduced-friction Kashima Coat™ internals, 12.4 inches of travel, separate adjusters for high- and low-speed compression damping, and a full lock oil rebound system for increased comfort. All adding up to fantastic rear wheel control and a sweet ride. 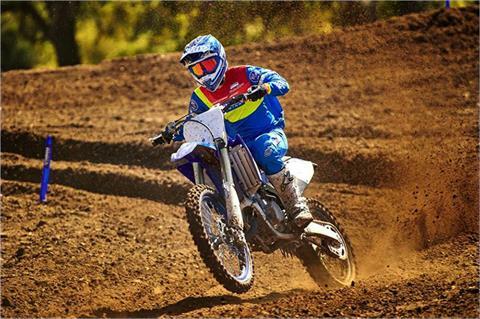 RACE-READY TIRES: Premium Dunlop® knobbies offer race-spec traction and wear. 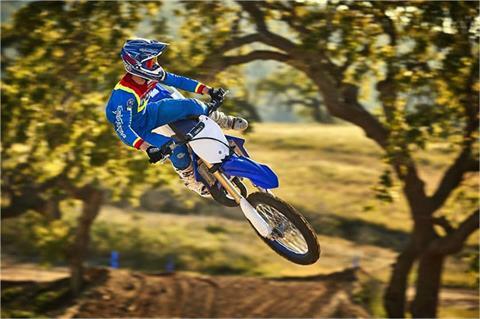 TWO-STROKE POWER: Amazingly compact 124cc reed-valve-inducted two-stroke helps produce an awesome power-to-weight ratio. 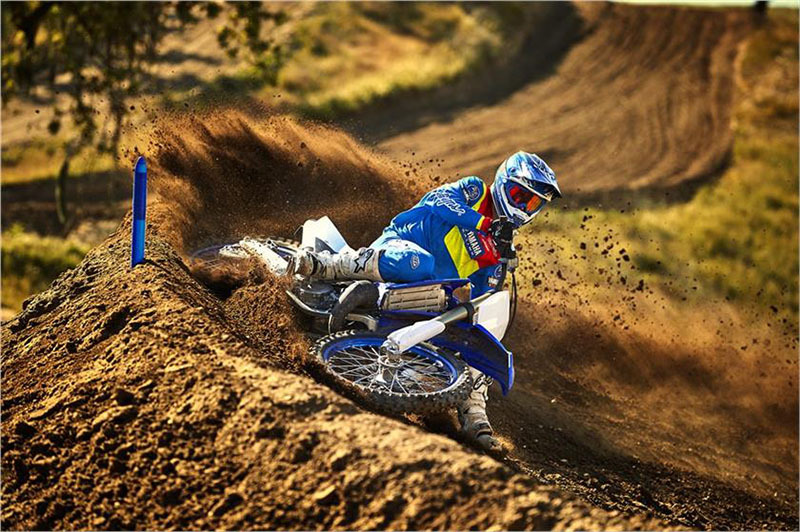 RACE-DEVELOPED INTAKE: Reed-valve spacer improves acceleration across the entire powerband. YAMAHA POWER VALVE SYSTEM: Patented YPVS™ combines crisp, hard-hitting bottom-end acceleration with strong midrange and eye-opening top-end. 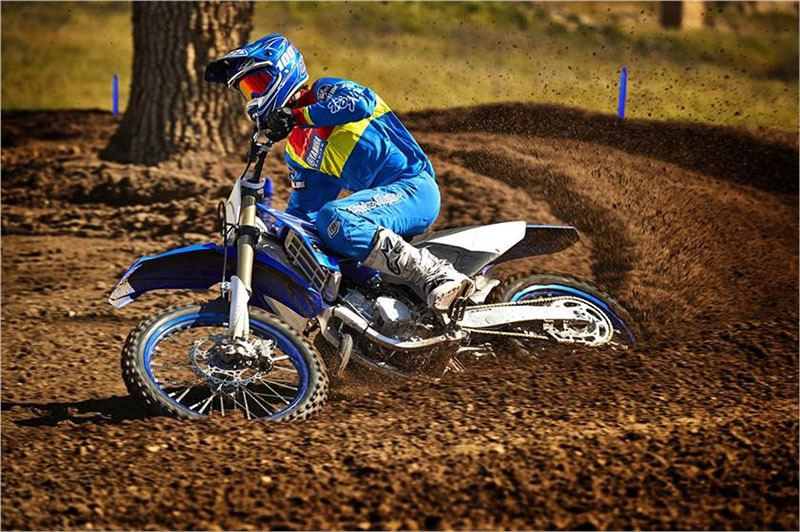 CLOSE-RATIO TRANSMISSION: Six-speed, close-ratio transmission optimizes gear ratios for maximum performance. DIGITAL IGNITION: Digital CDI system delivers precise spark and monitors engine speed to ensure optimal timing for faster, stronger response during hard acceleration. HIGH-CAPACITY RADIATOR: Large-capacity radiator features a 10-row core with four louvers to deliver maximum cooling efficiency at all performance levels. 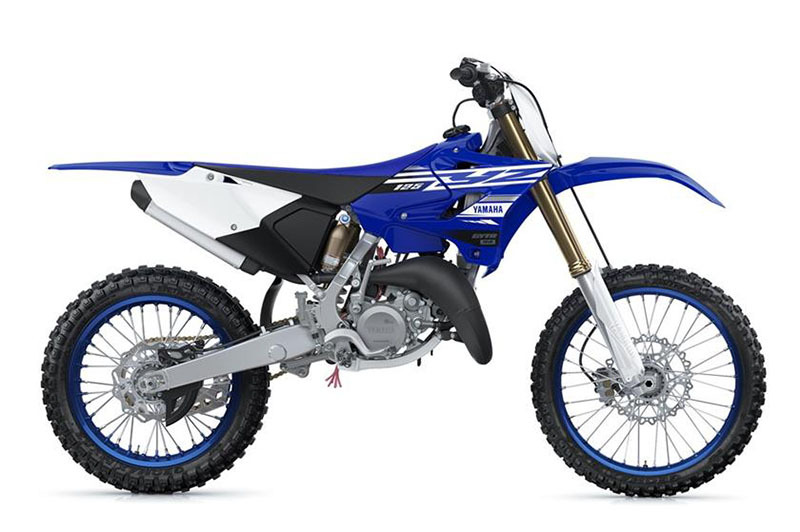 RACE-READY FEATURES: The YZ125 is ready to race out of the crate, complete with an aluminum handlebar, 2-position adjustable handlebar clamp, wide foot pegs, gripper seat and adjustable clutch lever with works-style cable adjuster. 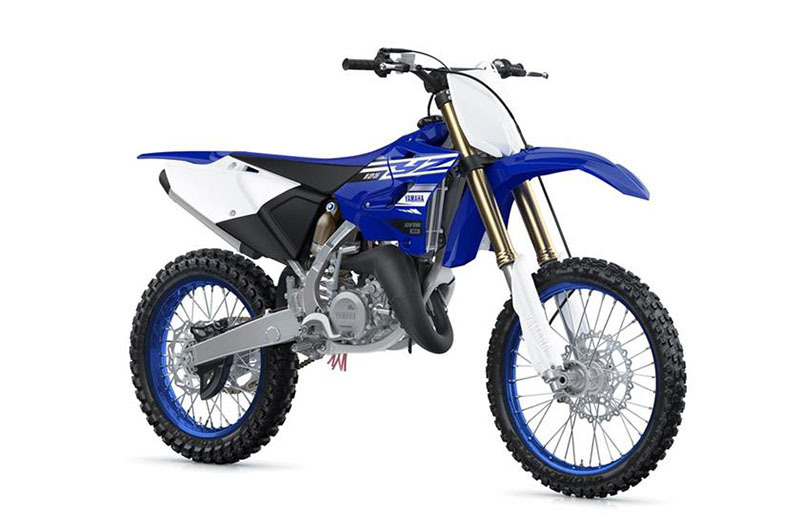 MODERN STYLING: Modern, aggressive styling, including front fender, front number plate, radiator shrouds, side number plates, air box, rear fender, fork guards, as well as the rear brake disc protector, rear brake caliper protector and wider foot pegs—just like the 4-strokes. LIGHTWEIGHT FRAME: A light aluminum frame housing a patented YPVS™-equipped ripper of an engine results in an awesome power-to-weight ratio. 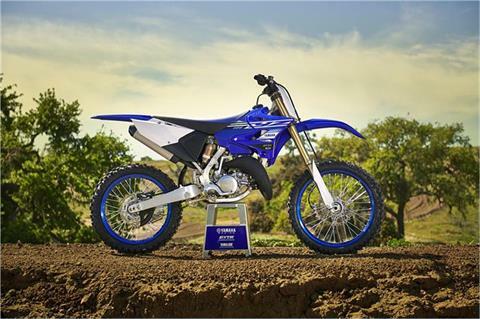 RACE-READY FEATURES: The YZ125 is ready to race out of the crate, complete with an aluminum handlebar, titanium foot pegs and gripper seat. 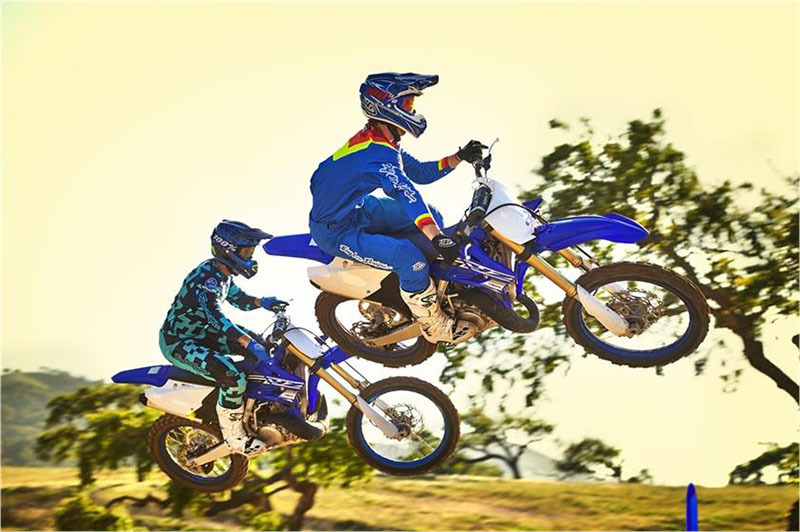 IDEAL BALANCE: A pure motocross machine, the light and nimble YZ125 is the perfect choice for riders stepping up from the 85cc class. RIDER-FRIENDLY CHASSIS: Ultra light weight means nimble handling with less fatigue.